Researchers in Germany have successfully re-created dinosaur bones using 3-D printing from original bones still embedded in rock. 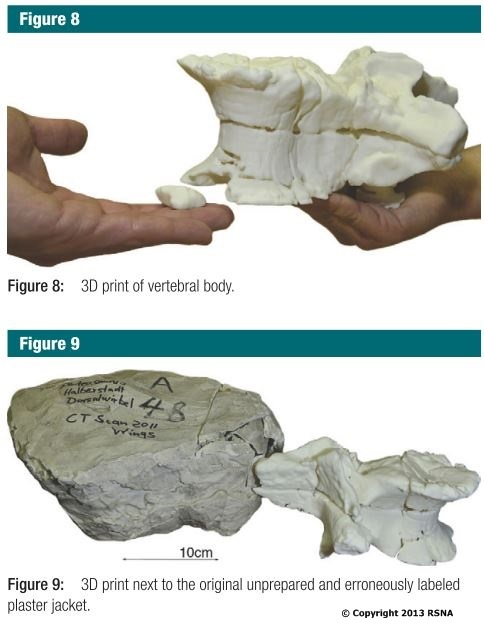 As reported in the March 2014 issue of the journal Radiology, a fossil of a vertebral body of a Plateosaurus still embedded in the rock was found and was scanned using a CT scanner. The digital dinosaur vertebra was then digitally removed from its rocky surrounding shell. 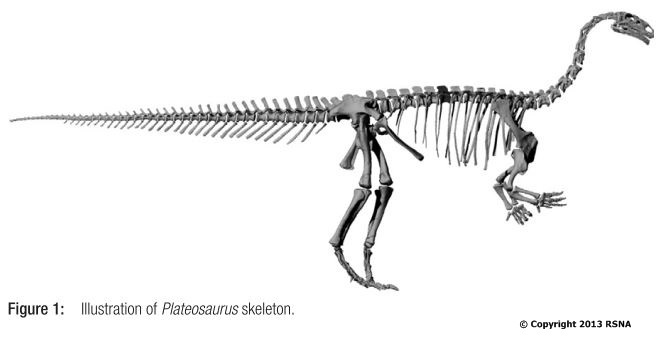 The dinosaur bone was then 3-D printed using a selective laser sintering machine to create an exact duplicate. The 3-D printed model can then be handled and used for research, while the original remains undisturbed and safe within its original rocky matrix. What does this advance mean for the field of paleontology? Can delicate objects now be studied without having to disturb them? Can rare bones, previously paid away a museum vaults, now be digitally shared with the world? Please leave your comments. Previous entry Welcome to Embodi3D!